From coast to coast we found hundreds of people sharing similar stories. Men, women and children all spoke of scalp sores, bald spots and hair falling out in clumps. Jessica Deets said her hair started falling out at an alarming rate two months after she began shampooing with Monat. 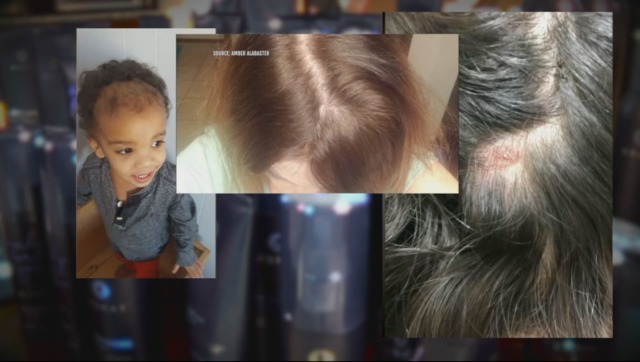 She also estimates her daughter lost most of her hair after using Monat's children's line. Jessica showed us the clumps she says she found in little girl’s crib. 199 Monat users reported adverse reactions to the FDA and more than 500 people filed complaints with the Better Business Bureau in 2017 alone. The FDA doesn't regulate most cosmetics. 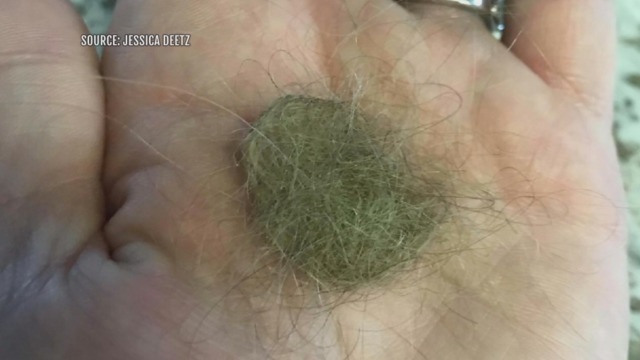 The company confirmed that the strands of hair they tested on were not attached to the scalp. Professor Leahy says the hair strands alone make it difficult to measure anything that is happening with the scalp such as the hair loss and scalp sores. John Yanchunis with Morgan and Morgan filed one of the class actions cases against Monat. The lawsuit says that the statements from Monat claiming that their products are 'naturally based and safe' as "patently false." The case also states that its own tests found sulfates, a known skin irritant. However, Monat maintains its products are sulfate free. Monat claims to have hundreds of thousands of customers. The company would not answer our questions on camera, but a spokesperson granted a phone interview with our Scripps station in Las Vegas and stated there is nothing in the products that would cause this kind of reaction in a large population. The court cases accuse Monat of fraud, deception and strong-arm tactics like suing critics. The company, which is based in Miami, says they filed suits to protect themselves from false attacks. Monat repeatedly responds to Better Business Bureau complaints with this statement: "Although Monat's ingredients are naturally-based, safe, pure and sustainable we understand some may experience a reaction and should discontinue use." The FDA says it is currently reviewing the complaints. Anyone who has experienced an adverse reaction to any cosmetic is asked to report this to the FDA .